The Attorney General’s Office (AGO) in Afghanistan has launched the process of creating ten more units specialized in combatting violence against women. Dubbed ‘EVAW’ from the 2009 law aimed at reducing gender violence, the units are prosecution taskforces. They have registered more than 4,000 cases to date; many of these have been prosecuted and streered through Afghanistan's challenging legal system. The move more than doubles the number of EVAW units to 18. It also suggests the network can sustain itself once international support winds down. IDLO, which has been instrumental in setting up and training the units, strongly welcomed the AGO’s announcement. 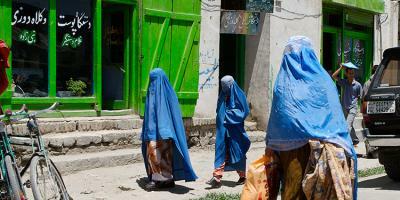 The Organization said that years of capacity-building efforts to protect Afghanistan’s women and girls were paying off.